MNANGAGWA SIGNED A US$5,2BILLION DEAL between the government and Nkosikhona Holdings to turn coal into liquid fuels has raised eyebrows with analysts saying the South African company’s credentials are suspect. 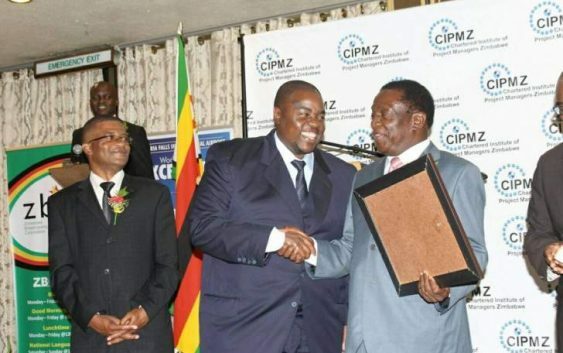 President Emmerson Mnangagwa signed the deal with Nkosikhona Holdings on May 17 amid claims the partnership would see Zimbabwe producing over eight million litres of liquid fuels per day from coal in Lisulu, Hwange. However, analysts have raised a red flag over the secrecy surrounding Nkosikhona Holdings’ background. Critics also alleged Nkosikhona Holdings does not have known history in extractives according to the company’s online profile. The company does not appear among South Africa’s liquid fuel producers. According to South Africa Company, one of the most comprehensive online databases on companies in South Africa, Nkosikhona Holdings is a private firm established in 2013 under registration number K2013/011831/07. The company only made headlines in the Zimbabwean media after clinching the multi-billion deal with government. Apparently, no South African or international media has ever written anything about it. Analysts who spoke to Standardbusiness last week said government could have made a mistake by awarding Nkosikhona Holdings the deal. “The most serious aspect of this is that the president was personally involved in signing the deal. “I think much more research needed to be done by people before they brought the project to the president. “When the president endorses a project like this, it has national implications and it implies that he knows what he is doing and that there is substance in the project,” economic analyst Eddie Cross said. “I will point to two mega projects where he has made serious mistakes in that respect. “One was the platinum project and the other was the coal project. Technical-wise, Cross said the coal deposits the government was talking about in Lisulu were already committed to the Lisulu power station in the same area and also they had deposits which were not suited for coal extraction systems. “The only coal in Zimbabwe which is suitable for that is that at Sengwa in Gokwe district and that is already under the control of the Rio Tinto Limited company in London,” he said. “The second thing, which crosses my head is that there is no substance to the companies involved. They don’t have the technology and financial resources. “You know (extracting) oil from a coal plant is a multi-billion dollar enterprise. “Just have a look at the project in Sengwa because it’s one of the few deposits of coal in southern Africa that are viable for that kind of process, but it has been rejected as being uneconomic. Mines and Mining Development minister Winston Chitando said details about the project would only be revealed at a groundbreaking ceremony next month. “I think all I can say is that the groundbreaking ceremony will be on June 23 where implementation modalities will be announced,” he said. Since coming to power in November last year, Mnangagwa has been preaching the “Zimbabwe is open for business” mantra, promising to create an investor-friendly environment. He has told the nation that Zimbabwe has attracted investment commitments amounting to over $16 billion in the past six months. Some of the mega deals that the country has entered into include the $1,2 billion Tourism and Hospitality Industry deal, the lithium mining deal ($1,4 billion), Agricultural Finance and Commodities Ecosystem ($1,5 billion), National Railways of Zimbabwe ($1,7 billion) and platinum ($4,2 billion). Analysts said in as much as the country was in need of foreign direct investment (FDI), government should not just sign deals without due diligence. “Firstly, we need to acknowledge the efforts of bringing in foreign investors and the results, which stand at $16 billion according to the commitment made by the investors. “There are, however, dangers associated with foreign direct investment such as unknowingly partaking in cleaning proceeds of illicit finance if the government does not carry due diligence on the investors before signing agreements,” economic analyst Reginald Shoko said. The Bulawayo-based economic analyst said there was need to scrutinise the so-called mega deals. “We need to take our time to check whether what is tabled is what we really need, even consider the reputation of the company and we shouldn’t be pressured as we enter into these agreements so that we get best deals,” he said. MDC T VIOLENCE-MDC-T has, for the second time in a week, failed to hold primary elections for its candidates in St Mary’s constituency, Chitungwiza, as a result of intra-party violence.